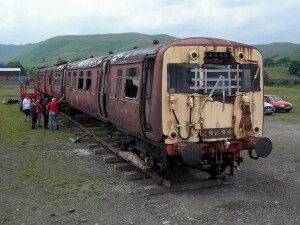 The next visit to Tebay to work on the 502 will take place on Saturday 29th May. Details of arrangements for the day will be provided to group members. If you are a member and have not received any notification, please contact us. 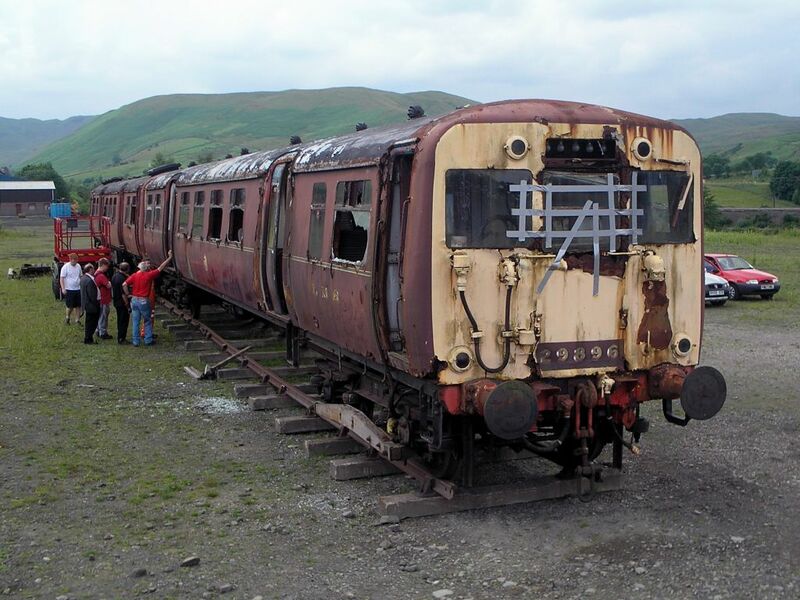 If you are not a member and wish to take part, now is the ideal time to join the group and get involved in the ongoing restoration work. It costs just £15 a year for an annual membership, or you can donate monthly by standing order. Details are available on our membership page. With the modern 507 and 508 stock now past their 30th anniversary, it’s easy to forget that the 502s spent the final years of their working lives in the late 1970s in BR blue livery working the Merseyrail network. 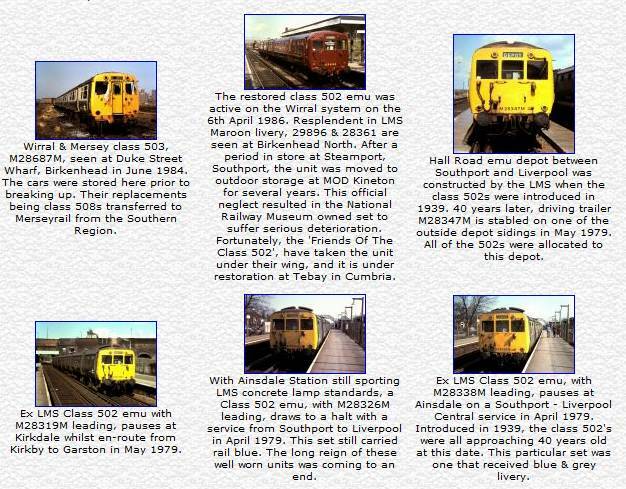 Photographer Martyn Hilbert has captured some shots of the units (and their sister Wirral 503 sets) as they neared the end of their careers, and they can be found in his Merseyrail electrics Fotopic collection. Thanks to Martyn for letting us know about his excellent pictures. If anyone else has photos of the 502s from any point in their history that they wish to share with us, please let us know.